California's Fair Political Practices Commission officially warned Arroyo Grande Mayor Jim Hill that he should have recused himself from past votes he'd taken on the city's multimillion-dollar Brisco Road interchange project. Hill already promised to no longer vote on the project after voluntarily seeking advice from the FPPC earlier this year. But after investigating a subsequent citizen complaint, the commission said in an Oct. 16 warning letter that Hill also should have refrained from taking several votes related to the project in 2015 and 2016. WARNING Arroyo Grande Mayor Jim Hill received a warning letter from the state's Fair Political Practices Commission in connection with past votes he made on the Brisco Road interchange project. At issue is the proximity of Hill's home to Brisco Road on- and off-ramps. Hill's home is about 2,600 feet from sites where ramps might be relocated as part of the project. The warning letter indicated that Hill and other members of the City Council were notified in March 2015 by the city attorney about changes to the commission's conflict of interest rules. Specially, the FPPC was dropping a rule stating that living near a proposed construction project was only conflict of interest if elected officials lived within 500-feet of the project. The new rule allowed a somewhat broader interpretation than the previous "500-foot rule," FPPC officials told New Times. Despite being aware of the rule change, the warning letter said that Hill still made several votes between June of 2015 and November of 2016, including voting in favor of temporarily closing Brisco Road ramps. The commission said that voting to close the ramps mimicked one of the three permanent options being considered for Brisco Road, and thus could have a foreseeable material or financial impact on Hill's property interests. The Oct. 18 letter warned Hill about his past votes but stopped short of issuing any fines because those votes occurred so close to the FPPC's rule change. Speaking to New Times, Hill noted that he'd sought the FPPC's advice on the issue before the complaint was made, and had followed the advice in the commission's response to refrain from voting on the project moving forward. "They found that I've been in compliance with their advice," he said. "I've been studiously compliant." The warning letter comes as Hill is running for a third term as mayor against his challenger, sitting Councilmember Caren Ray. 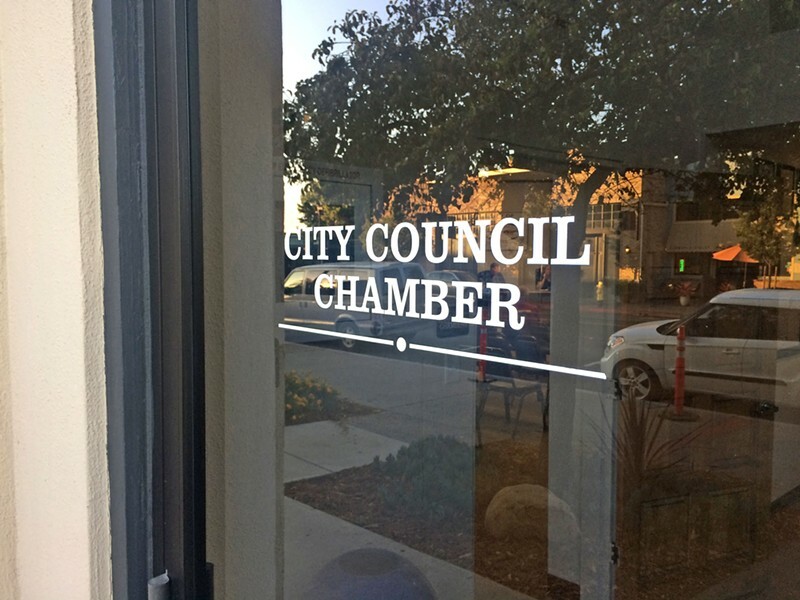 Ray raised concerns that Hill has a habit of overstepping his authority as mayor, pointing to the results of a 2017 independent investigation into his conduct as mayor and as a board member for the South SLO County Sanitation District. "It's unfortunate that this is consistent with the independent investigation that showed a similar pattern of behavior," Ray told New Times when asked to comment about the warning letter. Hill disputed Ray's assertion. He said that the woman who filed the FPPC complaint against him, Oceano Community Services District board member Shirley Gibson, was a supporter of Ray's. Campaign finance reports showed that Gibson contributed $600 to Ray's mayoral campaign. Similar to his response to the independent investigation's results, Hill characterized the FPPC complaint as politically motivated. "They are trying to make something out of this lettter," Hill said. "That's just the way they play. That's the tactics they've chosen."